It's a block-matching-puzzle game that will twist your mind! A TYPE OF PUZZLE GAME THAT YOU’VE NEVER PLAYED BEFORE Meet Creasaur Entertainment Company’s newest title! pliq is a one-of-a-kind puzzle game that just feels so good to play ...MoreIt's a block-matching-puzzle game that will twist your mind! A TYPE OF PUZZLE GAME THAT YOU’VE NEVER PLAYED BEFORE Meet Creasaur Entertainment Company’s newest title! 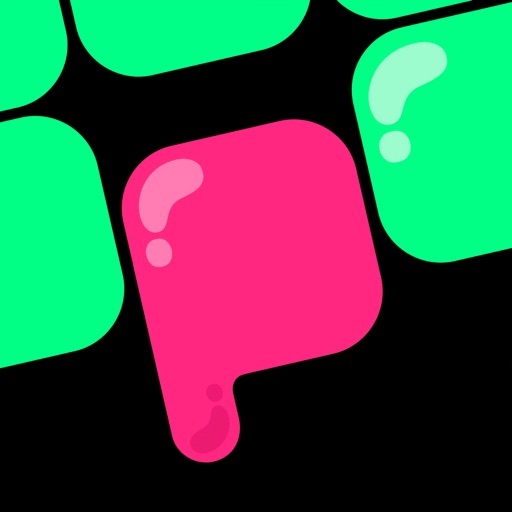 pliq is a one-of-a-kind puzzle game that just feels so good to play around with. The powerful logic that makes it so right and fresh is that simple; tap or swipe to build the right block group that would perfectly fit with the other one which is coming from top of your screen. So, the rows and the lines should be perfectly clear. If so, the blocks will be combined and pop in a quite satisfying way and your board will be cleared. Otherwise, the descending block won’t match and those blocks will be locked. But there’s nothing to worry about! Because you can still fix the situation with the next descending block thanks to the endless game design. Also, we've got some super-duper boosters for you to make things better :) EASY AS ABC There’s just one rule; observe the descending block, solve the pattern, build your own one, match it to clean your board and keep building your perfect blocks to vanish those colorful jelly blocks to rock your score and get to the top! So far so good, right? That’s why pliq is so great for you to spend your time in a pleasant experience while your brain is smartly enhancing during your gameplay. YOU’VE GOT THE POWER The experience starts simply, leading you gently from basic puzzle blocks to more complex ones. There’s no movement limit. The more you build blocks, the more you get points. So, you have the whole power in your fingers to improve your score. PLAY IT ANYTIME & ANYWHERE! You can play it when you're taking a break, waiting for your bus or subway and while you're promising yourself that you’re going to sleep early. pliq is definitely going to make you feel happy with its beautiful simplicity and minimalistic design combined with a joyful idea. It's easy to learn, hard to let go! WHAT YOU’LL FIND IN pliq - Your game progress is always being saved - you can continue your game anytime. - Simple and glowing graphics with satisfying sound and visual effects. - You can play it anytime and anywhere! - Beside your Facebook friends’ leaderboard you can compete in the global and local rankings. - An endless game design that builds on a new brain teaser board game idea that will keep your mind active continuously in your play time.